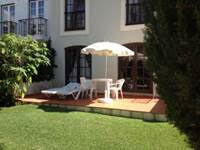 A charming ground floor studio on the sought after holiday complex of Old Village in Vilamoura. Perfect for golf lovers, this complex is surrounded by golf courses. The apartment is furnished tastefully with a red sofa in the lounge. The sleeping area is equipped with 2 single beds. 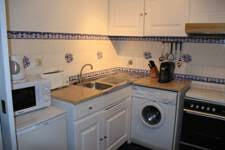 There is also a washing machine in the kitchen.